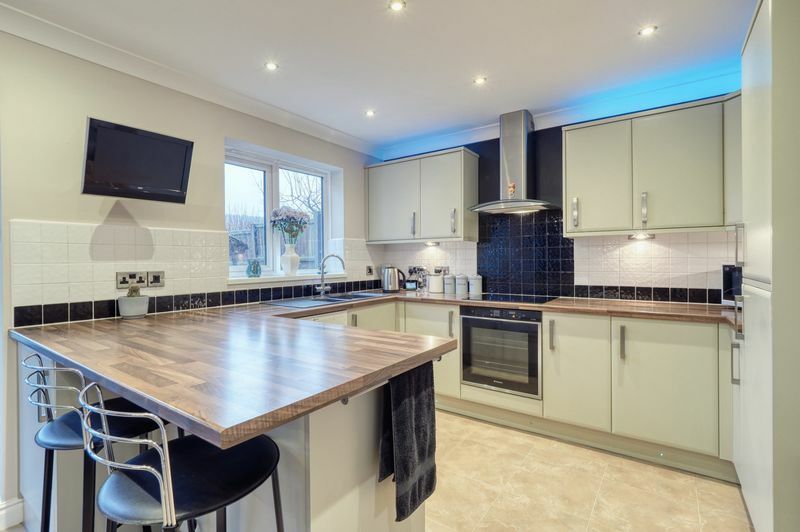 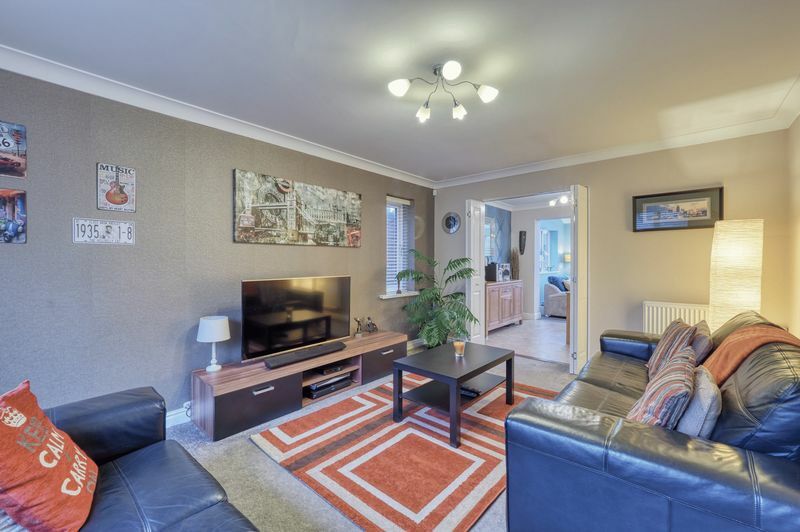 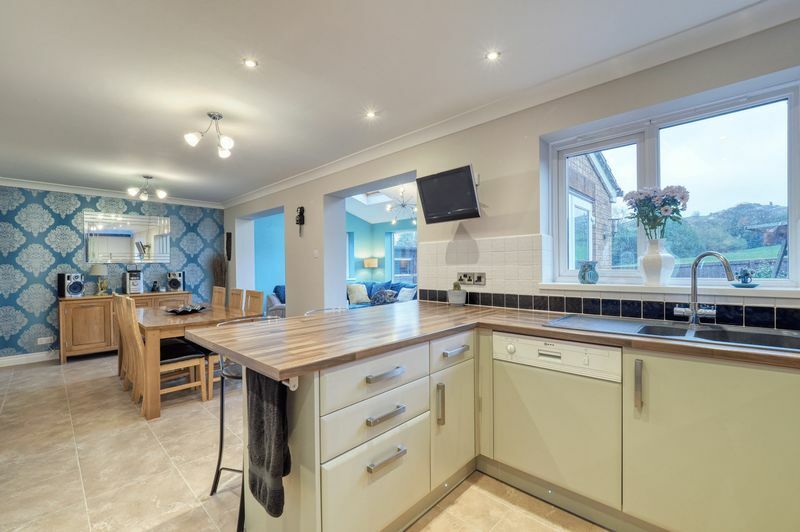 Seeing is believing with this extended family home with four bedrooms, two bathrooms plus vastly extended ground floor accommodation, which creates a highly desirable open plan living kitchen together with an adjoining family room, which is a real highlight of this super-sized home. 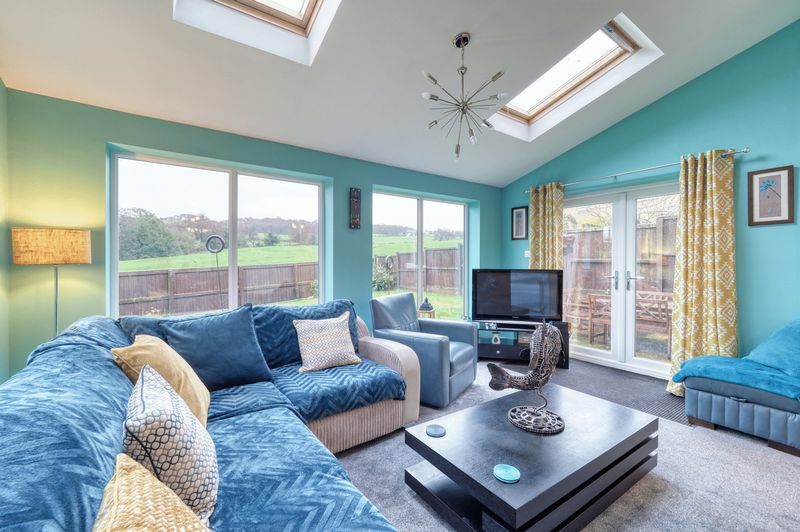 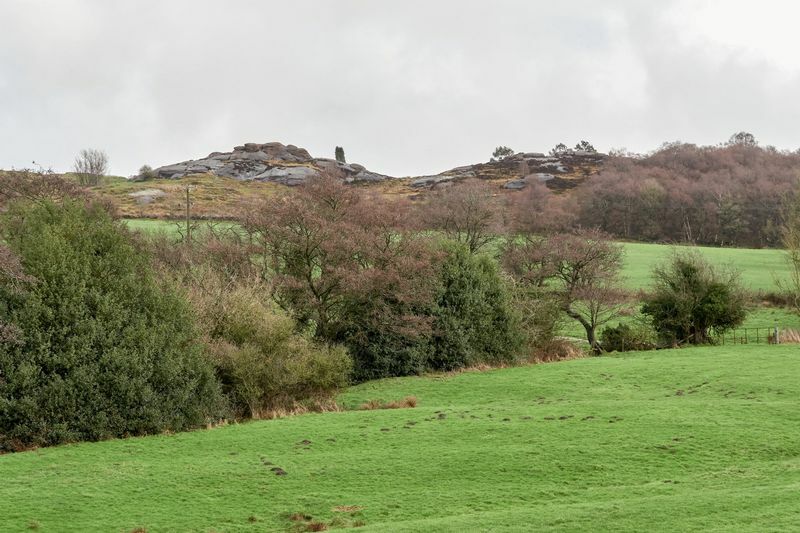 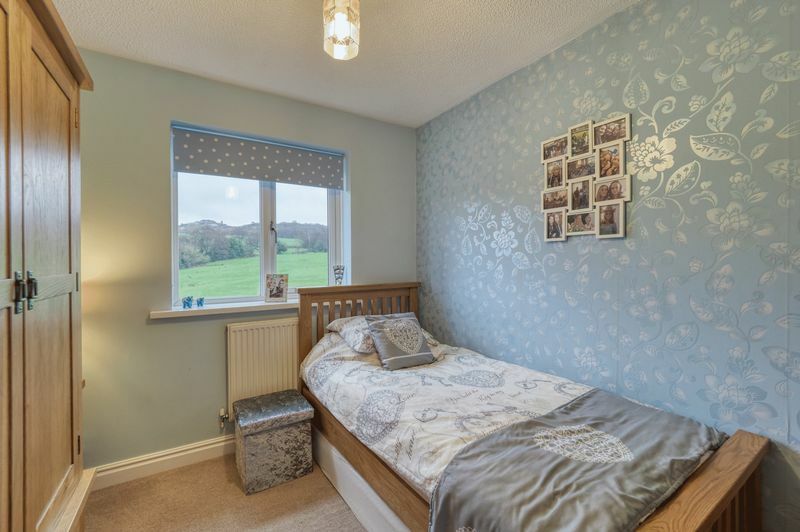 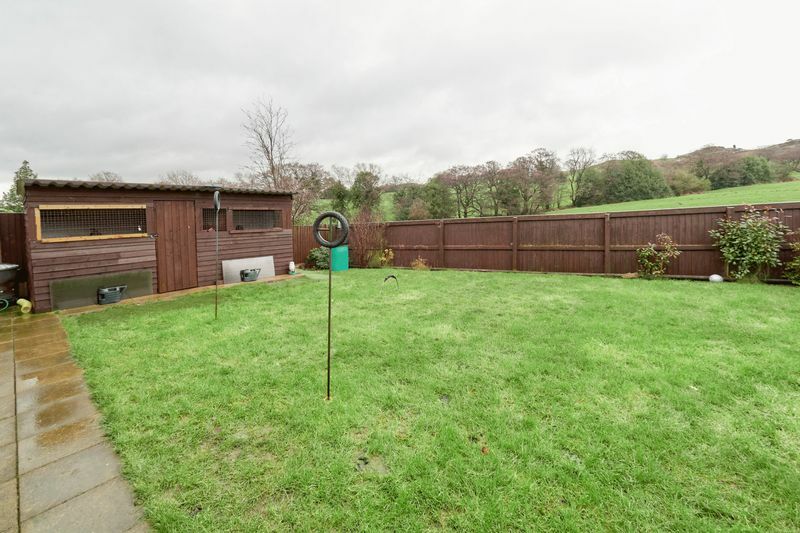 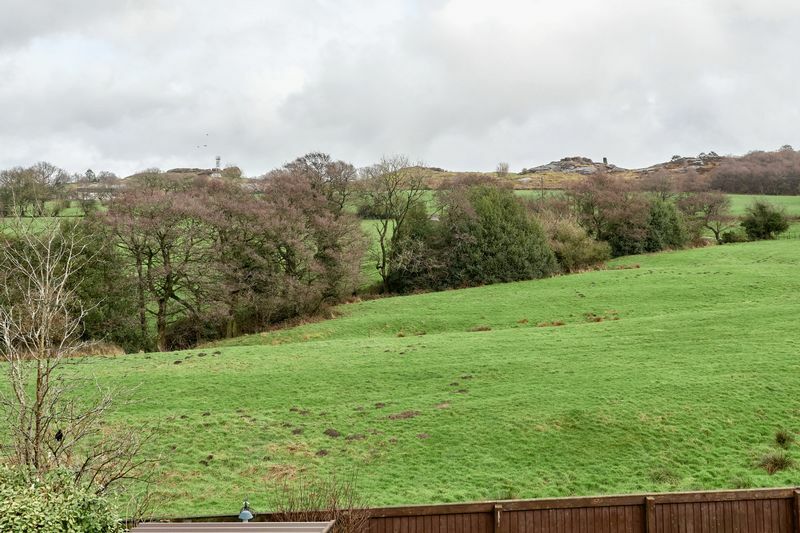 Occupying what has to be one of the most favoured positions on this popular development, adjoining open fields, which can be admired from the impressive sized extension via its full length windows, which fully admire the spectacular views. 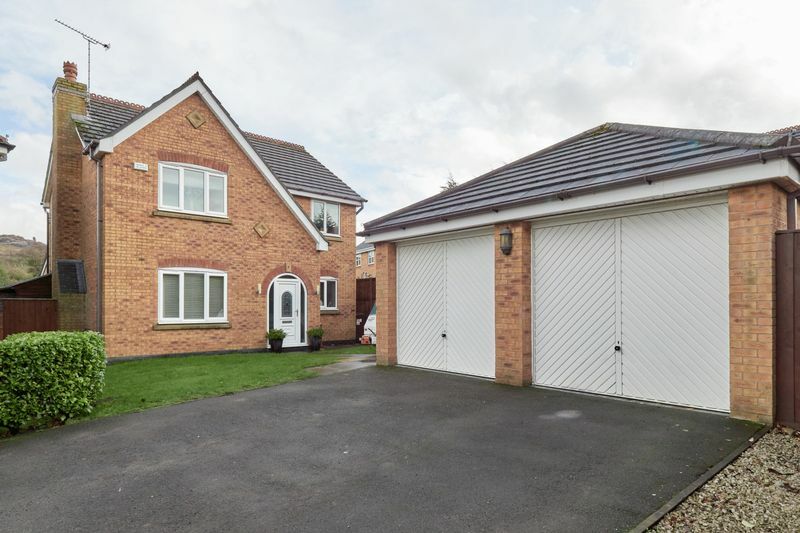 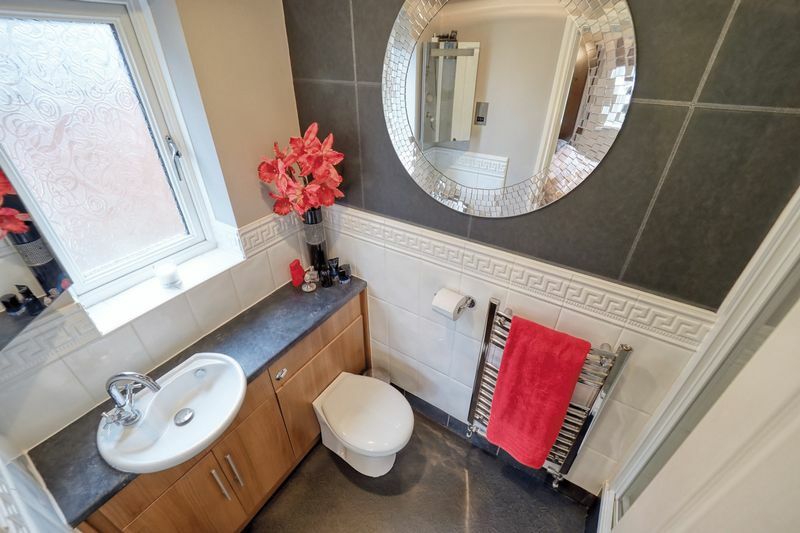 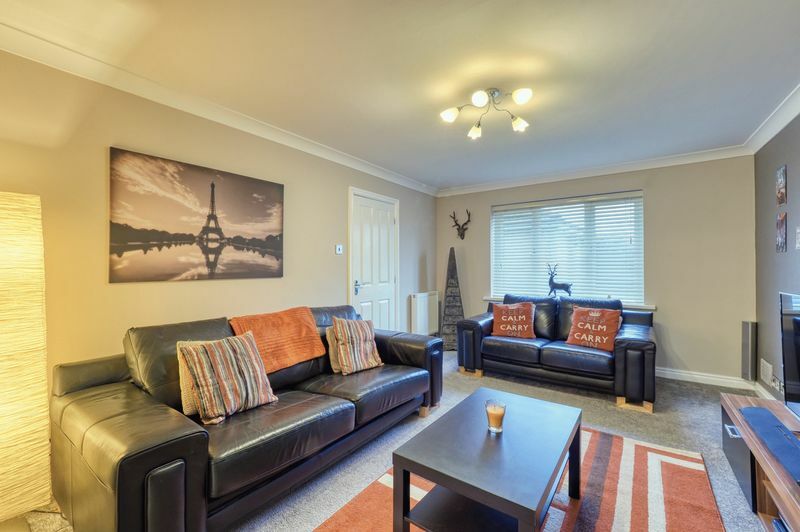 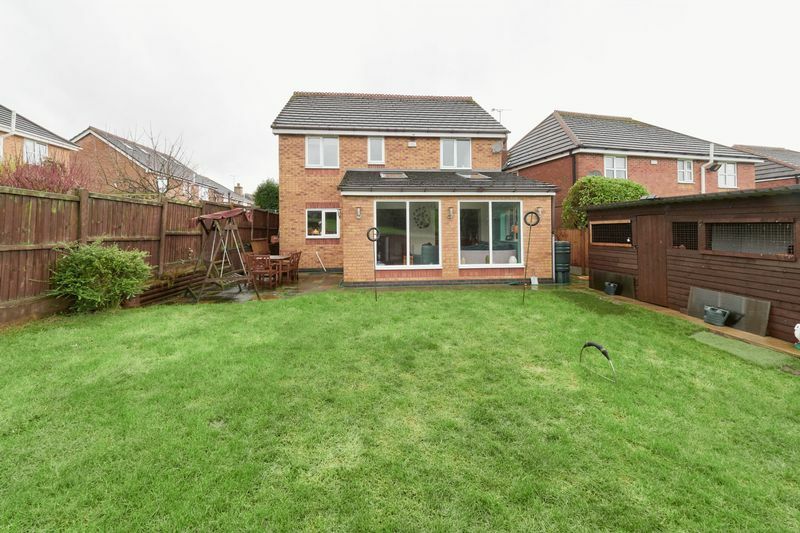 Tucked away in the corner, offering a more private position together with a detached pitched roof double garage and driveway providing parking, with additional space for further parking if desired. 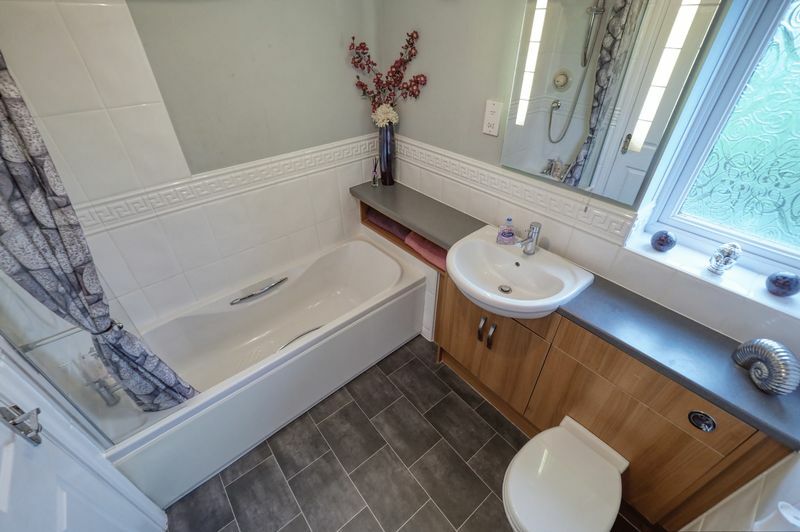 From immediately entering the property you know it’s going to be special. 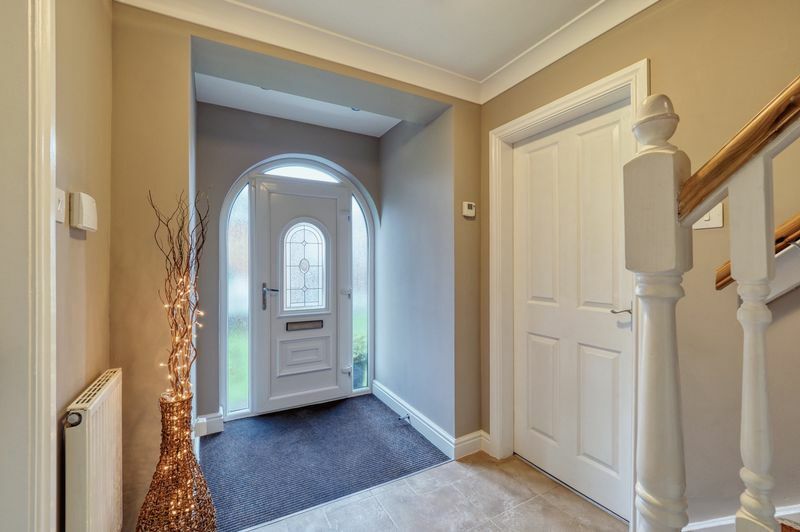 The delightful hallway is spacious & designed to create a grand style hallway, which is complemented by Karndean flooring, which continues through to the family sized kitchen finished with stylish on trend units, incorporating breakfast bar & integral appliances. 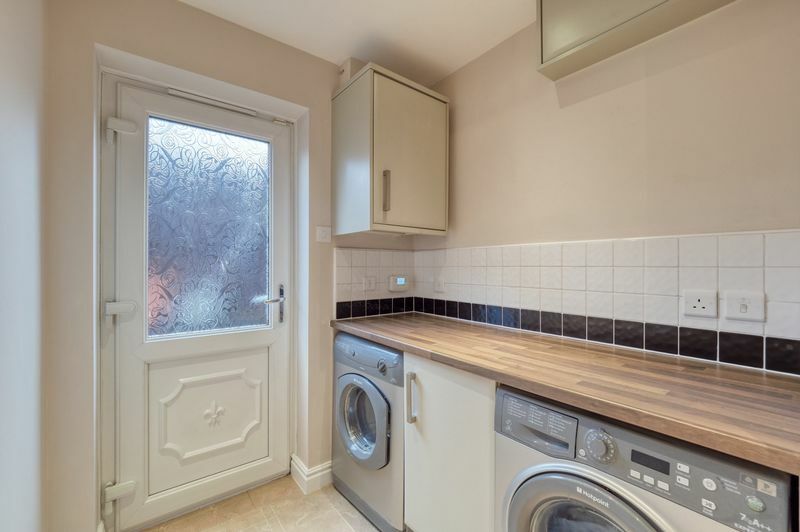 Separate from the kitchen is a utility room with matching units. 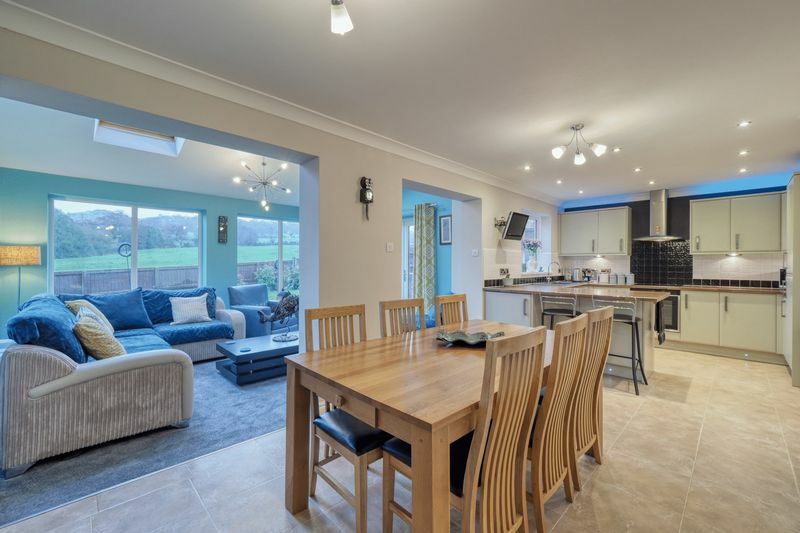 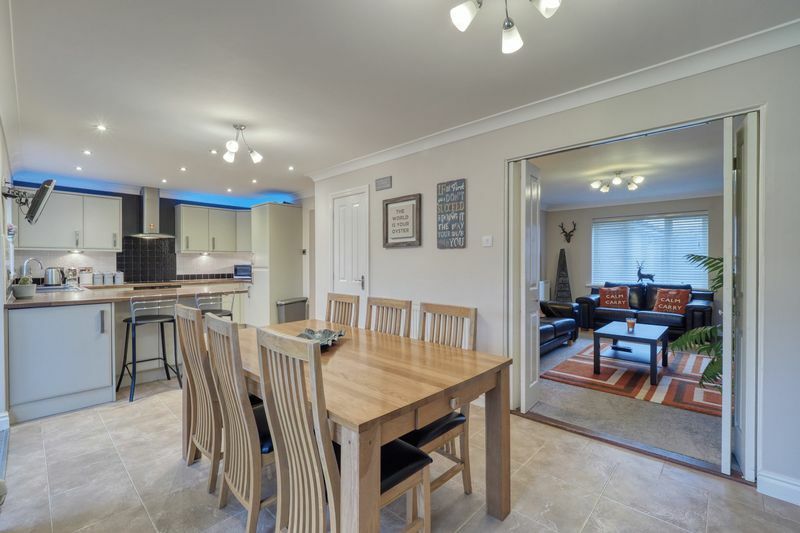 The open plan dining room combines with the kitchen creating a truly impressive sized entertaining environment, which seamlessly connects into the extended family room & separate lounge having double doors to divide if desired. 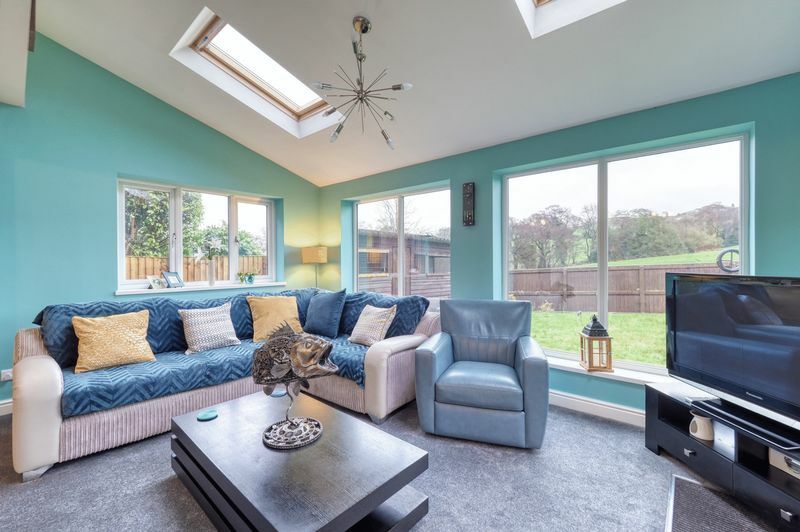 The rear family room, as previously mentioned, plays host to the available views and is a perfect accompaniment to this family sized home. 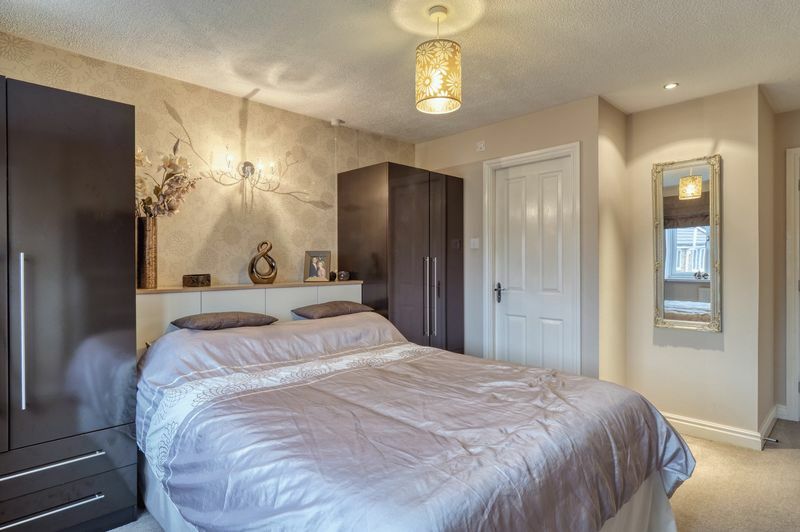 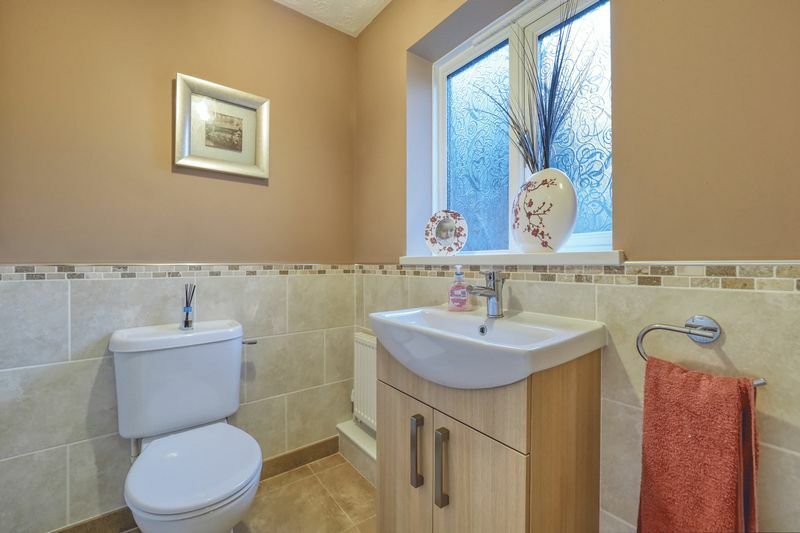 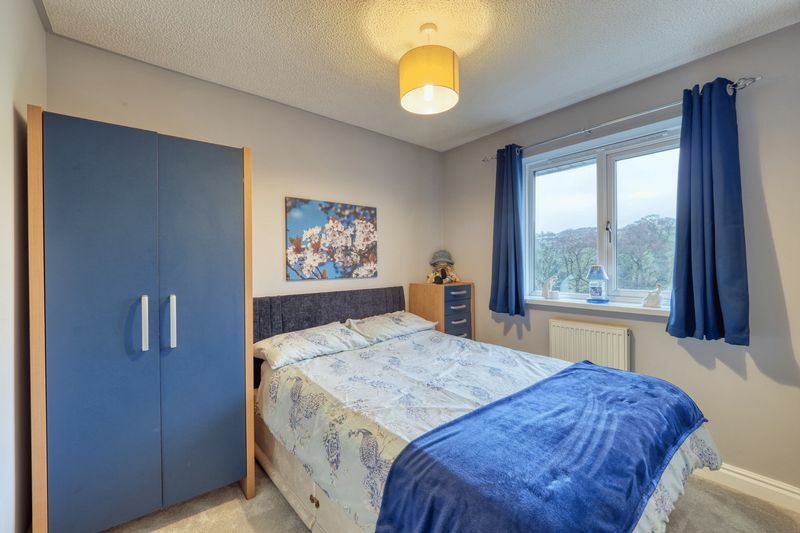 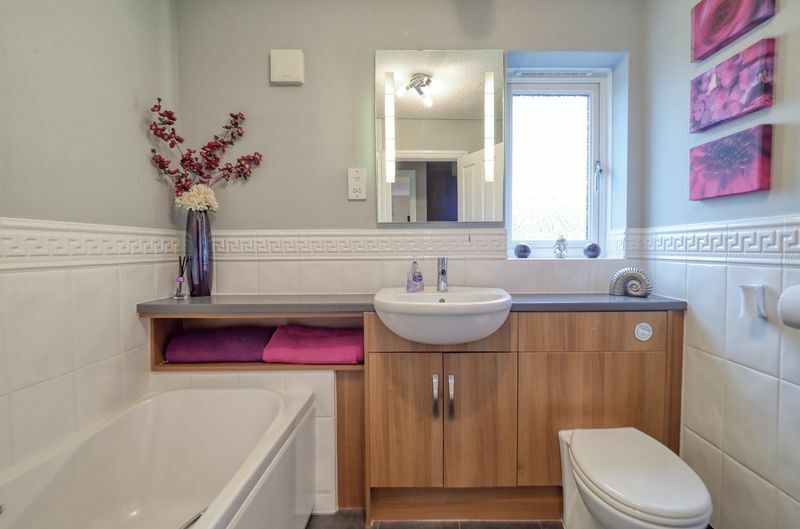 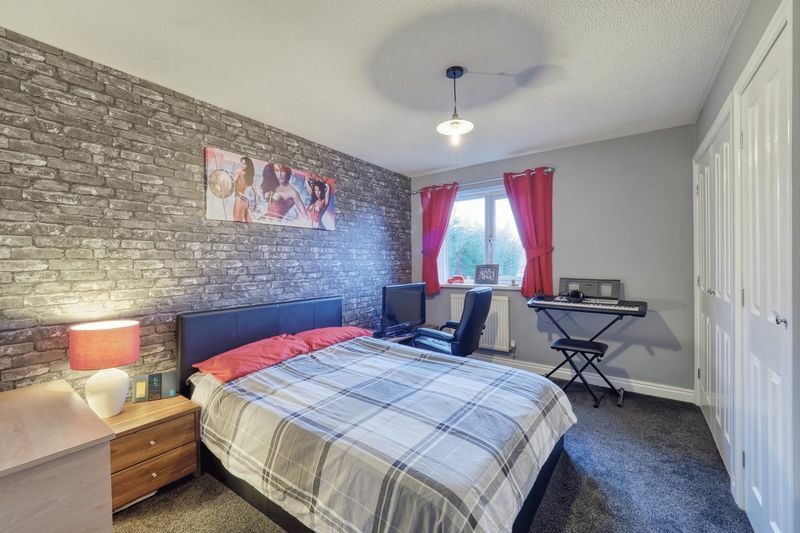 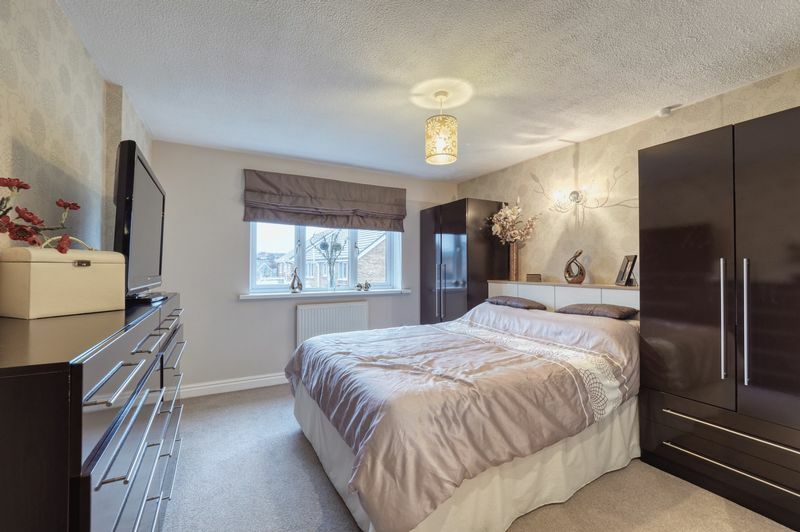 The first floor has four double bedrooms, with the master having a modern en-suite, in addition to the family bathroom, which has been furnished with a quality modern suite. 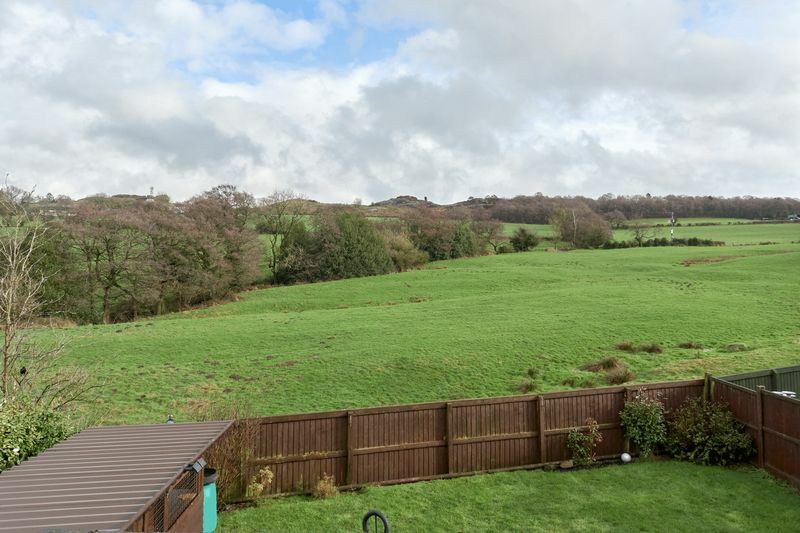 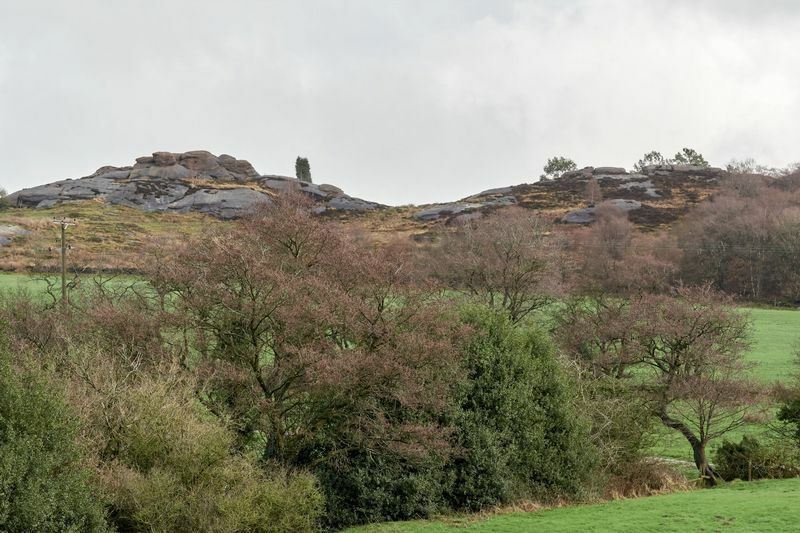 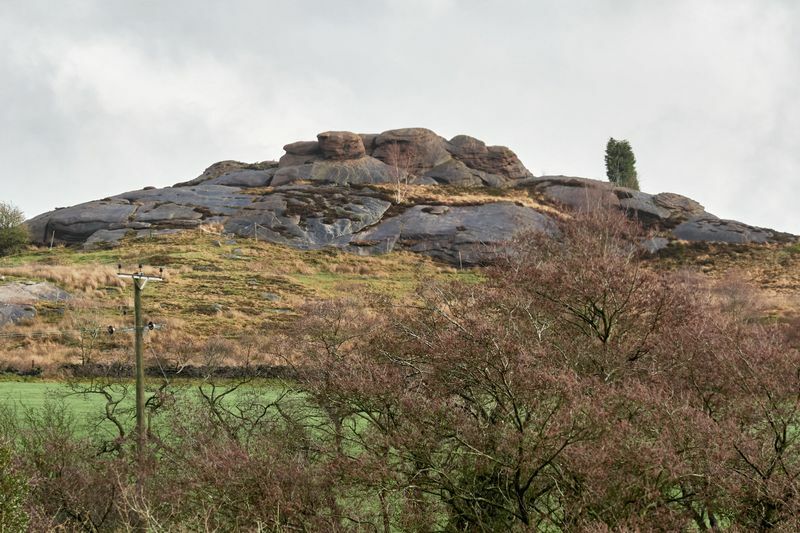 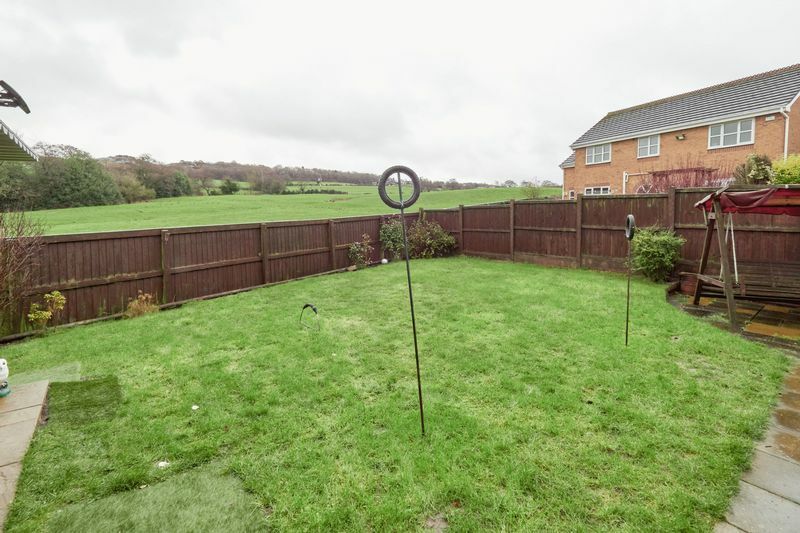 The rear garden is of a good size with lawned gardens & uninterrupted views over the adjoining fields as well as Rock End, Biddulph Moor. 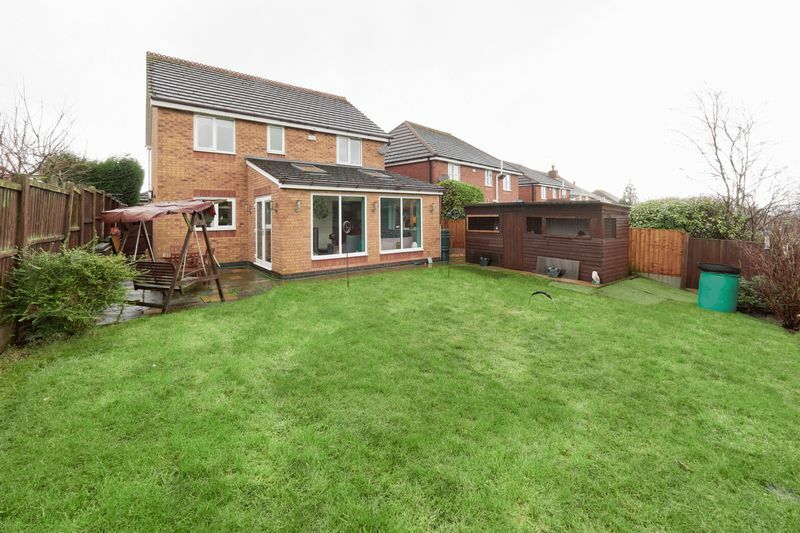 A property of this calibre, upon this development is a rarity indeed, therefore a prompt viewing is highly recommended.